NF (5405) - As posted it resisted at 5467 and reached the down target of 5410 also . Now What next ? As posted several times here, below 5410 next down side attack 5360_5345. and below this level ,down slide continue to 5240_5220. In upside above 5420, resist remain same at 5467_5477. TATAMOTORS (1007) - As posted here on 09th Aug. above 910 it already attack 1010. Two close above this level, starts very big up move. (Target for that move,will post here with in two days.) But before that, in shortly it going to correct minimum 950-940. EVERONN (567) - On 05 Aug. written here above 539 going to attack 603. whereas it went upto 596 from there it coming down . Now upside resist 577_587 and below 560 it slide to 533_523. HITACHIHOM (361) - support 360_355 and going to resist at 380-384 but once cross this, then next attack 430. 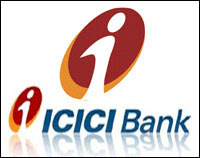 ICICIBANK (972) - On 10th Aug. written here, going to top out 999. Yesterday it made a high exactly 999 from there falling down. In down side it come down 955-945 and after that 910-890. 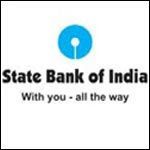 SBIN (2600) - On 03rd Aug. written here. timebeing top out at 2660 whereas it went upto 2675 from there, correction is going on. now below 2600, it slide to 2520-2510 then after that 2460-2440.